A Martian walks into the Treasury - the beginning of a bad joke? No, bear with me. Our intergalactic friend is briefed by George Osborne that they are trying to save money from the welfare budget. Off she goes, to pore over the details. Disability benefits: they are forecast to increase by £2bn over the next five years. Could do something there. Sickness benefits: they are predicted to rise by about £1bn. Might be able to save some of that. But what's this? It's rising by £15bn over the coming five years. That's the one. Off our Martian goes to see the chancellor. "What are pensions?" she asks. That is the problem the government is struggling with. Its political refusal to touch pensions, or pensioner benefits, has in a stroke protected the single biggest cost in the welfare budget. And the cost that is rising the most. In circumstances like these, it is often said that ministers wouldn't start from here if they had a choice. Only, that argument doesn't wash on this occasion. In 2010 and again in 2015, ministers deliberately decided not to touch pensions. And that, in part at least, explains why the now former Work and Pensions Secretary Iain Duncan Smith has resigned and the government been in open warfare this weekend. Ministers argue pensioners deserve to be protected, given they have worked for their rewards and that most have no other options to earn income if they cut their benefits. That is why they introduced the so-called triple lock - guaranteeing that pensions will rise in line with either earnings, inflation or by 2.5%, whichever is highest. That political argument has now created budgetary mayhem. Three of the biggest costs within the welfare cap - housing, disability and sickness benefits - have all been changed. The reforms to sickness and disability benefits have not delivered the savings ministers had hoped. When Personal Independence Payments (PIP) were introduced in 2013 to replace Disability Living Allowance (DLA), the disability benefits bill was £13.5bn. Ministers said their changes, including asking claimants to undergoing a medical assessment, would save 20% from that cost. Spending this financial year will be £16.2bn, with costs forecast to rise in the coming years. The Office for Budget Responsibility said last week that more people were getting PIP than ministers expected and that awards to recipients were higher than forecast. More people with mental health problems and learning disabilities, for instance, are qualifying. Officials are also discovering that in some cases people are sicker - and therefore more deserving - than the data on DLA suggested. Attempts to remodel the other big cost - tax credits - fell foul of Tory MPs last year, though the Treasury has significantly reduced awards within universal credit. So pensions are protected, tax credit and disability reforms have been shelved yet the Treasury wants to save more from the welfare budget. One option could to be deliver on another Tory manifesto promise - to half the employment gap for people with disabilities. That could save billions from the benefits budget. But doing so might require some initial investment and the savings are not guaranteed. However, as the economic outlook becomes bleaker, perhaps forcing the Treasury into ever more desperate attempts to save money, making that argument will fall to the Department for Work and Pensions. 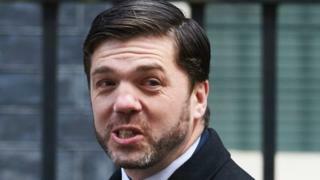 Welcome to your new job, Stephen Crabb.